Tourism and travel is a constantly growing industry which includes many sections, from destination browsing to travel deals to accommodation and leisure. Travel websites, booking engines, hosting platforms, hotels and tourism providers need to reach a multilingual global audience. Competition is so high that they do not only need to show their potential clients their product/service, they need to convince them, make them feel the need for their services. Here is where a specialized and experienced travel and tourism translator comes in, offering the best linguistic solutions to their marketing needs. A translator specializing in travel texts can make the potential traveler feel excited about the place they are about to visit; he/she can help the young couple looking for the most romantic hotel decide which is The one, can convince families that your apartment is the safest family-friendly choice or your restaurant offers allergy tolerance but delicious dishes or that the day trips you offer will make their holiday unforgettable. They go beyond just passing information – they act as ambassadors and marketers for your business in their native language. Tourism and travel translators do not translate just meaning. 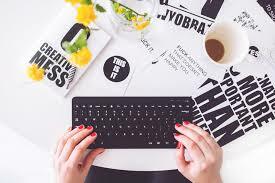 They have strong copywriting skills that they use to make your services irresistible. They know which phrase sound best in their language and avoid synonyms with negative implications. Also, marketing translators will go beyond words. They will suggest the right image to go with your ad, the length/style of text that is best suited to your audience and will point out any culture specific issues. They will include in your website copy any humour or wordplay you had in your original text. The voice of your company will sound clear and distinctive and all the hard work you did with your marketing will not get lost. Specialised tourism and travel translators will also add the right tone to your short social media messages and advertising campaigns. They can also help you with SEO. If you give them the keywords you want to use, they will incorporate them seamlessly in your copy and reach search engines like Google and your potential clients in a few clicks. Keep in mind that you have to be clear and help them understand your company – and your potential clients. Are you a high-end, gourmet restaurant which aims to attract connoisseurs and good food lovers? You can’t have your menu translated as if it were a local tavern. Similarly, if you are a local tavern specializing in traditional, home-cooked dishes with local ingredients, you need your menu to reflect that and not appear like an exotic and extravagant diner. And the million dollar question: Is a professional, specialized translator worth the cost? Why shouldn’t you just use Google translate and have your Russian waiter/Italian cook/English speaking receptionist check it? For all the above reasons and for another, very important one. We all know how to cook (well, not all, I guess 😉 ) but would you hire us to cook in your restaurant? We all speak our native language but would you trust your website texts to anyone who speaks the language? Or would you hire someone to serve your customers just because they speak Chinese? We all have ten fingers but that doesn’t make us pianists, painters or skilled craftsmen. Education, specialization and experience are the most important words when it comes to trusting someone to help you with your business. Are you a restaurant, hotel, travel or tourism company who needs to translate their marketing material to reach more customers? Send us a mail to discuss your company’s special needs and find the best solution for your business. Or as a freelance business owner. This post title should come with a question mark at the end. Burnout has so many forms and can affect you in so many ways that you are never really ready to deal with it even if you have in the past. The reasons that cause burnout for freelance translators, and small business owners in general, are diverse. The term “work fatique” is also used to describe the situation when we feel we have given our job too much space in our life and mindset. High level of anxiety and a constant flow of adrenaline * Lack of motivation * Feelings of helplessness and futility * Self-criticism and the feeling of always being on the run for something and that time is never enough – an overwhelming sense of urgency. Does that sound like your daily mantra? How to avoid it – or, if it’s too late, deal with it? First of all, acknowledge the possibility that you might be suffering from, or are at the verge of a burnout. Take a deep breath and try to identify what stresses you out the most in order to take the relevant action which will really help you feel better. Is your work load too much? Partner up with a fellow translator, outsource more, hire a part-time translator for some of your projects, plan forward so that you won’t leave everything until the day before the deadline. Are your clients giving you a hard time? Fire the worst of them. There are plenty of articles out there about “How to fire your clients” and why it is a healthy thing to do. Don’t be afraid to interrupt working relationships that are simply not working for you. Are you exhausted of your business being an one-person-show? Try delegating more. Find a good financial advisor, hire a Virtual Assistant or a temp. 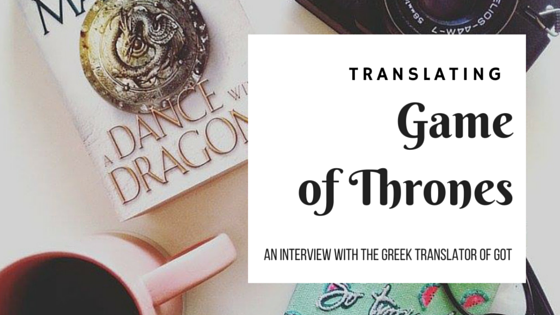 This will leave you time to do what you love more in this world: translating (or procrastinating while pretending to be translating). Are you giving yourself a hard time? Get some rest. Take some time for yourself. Read my article about why it really pays off to go on holiday if you are not convinced. Trust me, when they say “You can’t pour from an empty bottle” they do have a point. Even if you cannot go on holiday (for any reason) take some time to recharge throughout the day or once a week. Have a “you” day in the week or a “free” hour in your day when you will be able to do whatever you feel like doing – no errands or “must-dos”. Just fun and relaxing things. Are you always out of time? Set longer deadlines. You are afraid your clients won’t want to work with you if you can’t deliver in 2 days time? Well, delivering mediocre work because of your total fatigue and lack of motivation, is definitely worse, don’t you think? And don’t forget, we translators (and freelancers) may love our jobs but there are more things in life! Take care of yourself first! How do you experience burnout as freelancers, as translators or as small business owners? Let me know your stories and your tips in the comments. How dit it all start? I have been trying to find a planner for quite some time, to organize all those things that I didn’t want to include in my business agenda, like my ToBeRead lists (endless), my blog post ideas, gift guides, listicles, travel advice, even shopping lists and menus! Since I couldn’t find one that I would totally love (and be willing to pay for, as bloggers’ planners tend to be quite expensive, I decided to create my own! And since I saw how much you loved the idea I decided to sell it and give part of the profit (after paying the printing that is) to Athens Alzheimers Association. It is undated so that you can begin anytime. You can pencil in your own dates as the year goes by. Every month is devoted to something, eg. Gratitude, New beginnings, Fitness, Write a book etc. There is however enough room for your own goals/plans, it is not obligatory. There is one page for every week and a separate page for notes, plans, recipes, whatever you like! Shipping is free for all Greek locations until 31/12/2017. I am really looking forward to your feedback and I’d love to see it next to your coffee, tea or books 🙂 Use my hashtags #mylifeplannergr #girloncaffeine #mylifeplanner #mylifenotesgr or tag me on Facebook or Instagram. Have an amazing holiday everyone! In the age of start-ups and entrepreneurship being your own boss is the new goal for many people. However, it is not as easy as it sounds and a lot of you are hesitant to do the leap and go from a stable employment to the insecurity of running your own business. You can keep your work and personal life separate. It is very easy when starting your own job to confuse business and free time and you have to take care to keep boundaries, beginning from your space (it really really pays off to have a separate working area if you are working from home) to your time (when relatives call during your working hours have them call you back after you’ve finished). Working from home doesn’t mean you are available anytime, tell everyone (and mainly, yourself) that you are indeed working from home and not just staying in. You are experienced in team work and therefore you are not afraid to outsource or ask for help and this is indeed another way your 9-5 has prepared you for the demands of running a business. You know what NOT to do as a boss (in case you’re employing other people). You have learnt which behaviors are not appreciated by employees and what makes a boss respectable anb now is your chance to put these ideas in practice. You have professional know-how and etiquette – you have written thousands of e-mails to company contacts and you have perhaps attended conferences and seminars. Therefore you can deal with many issues as a tried and experienced solopreneur. You have experience dealing with urgent projects and deadlines. From your boss’ emergency copywriting job, to last minute modifications and super urgent company presentations, hopefully you know not to let your stress paralyze you and how to use time in your advantage. You know how to put up (or not put up) with toxic people – they might have been your co-workers, now they will be your clients, but your office job has definitely made you better in dealing with complaints, insufficient resources and more. Of course, your own business will be more important to you than working in other people’s companies and therefore more stressful. But remember to take a step back, as you would do if it were someone else’s business and try to think objectively and not only personally. This, too, will help you identify weak spots and develop and implement strategies for success in your new enterprise! What do you think? Do you feel your 9-5 has offered you more skills, some that I haven’t included here? I’d be very interested in hearing your thoughts! Step up or step out – will there be no translators in 2025? At the 1st Conference of Professional Translators and Interpreters, which took place on 30/09-01-10 in Athens, with the title STEP FORWARD – Translation & Interpretation in Greece and the International Market, we had the chance to attend a lot interesting speeches and presentations from professional translators and interpreters, regarding current issues and challenges in our line of work. What was really interesting in this particular meeting was that a) it was the first to bring multiple professional associations together, in order to explore common issues and (try to) find common ground for joint actions and collaboration and b) that it was the first conference to tackle practical issues for LS professionals and not just purely academic concerns (as was the Translation Theory Conference I attended in Thessaloniki earlier this year). All presentations from the conference are now available online but I’ll also give you my take on and a short description of some I found particularly interesting. Dr Liu brought to our attention the buzzing conversation about machine translation and its potential danger for human translators. With communication between nations in business and politics a sine qua non in the contemporary world, the importance of translation is now more evident than ever. Communication barriers affect enterprises, individuals and even heads of state and it is translators and interpreters that have to bridge language and –equally important- culture gaps. Also, digital media is attracting even more global audiences; the marketing and publishing sectors also need language service providers in order to help their products/ideas reach their desired audience. And it is not only business or politics that needs communication mediators to become possible – it is everyday life, medicine as well as world changing events, such as the huge migration wave of our times. With the rise of LS demand, the need for faster, easier, cheaper translation has also emerged. And machine translation is willing to supply it. However, as many studies, unfortunate incidents (and practical jokes you have definitely seen online) show, MT has not yet reached the desired quality level for it to be able to threaten human professionals. So should we just lay back in relief? Not really. Technology is an ever developing field, and it won’t be long before MT quality gets better. Also, social and marketing skills for translators are increasingly important as technology evolves and technological savviness is a very useful skill for professional xl8rs and 1nts. Therefore, it is very important that we evolve, too, as translators, of course, with CPD and lifelong training, but also as professionals. It is imperative that we acquire broader education as well as rapid response abilities regarding developments in language and technology. Becoming better in using technology to increase our productivity and services quality, is an opportunity we have to make the most of. The better our tools the better our craft will be and as technology becomes more reliable, we can learn to use it in the best way possible. Technology –and machine translation- is a tool we have to learn how to use to step up our game. So what do you think? Is MT a danger for language professionals or can (and should) it be used as a tool? Follow Dr Liu on Twitter for interesting translation & interpreting articles and my account, Metaphrasi for translation & blogging links. I know how frustrating it is when you are just starting out your career in translation (or any field, really) and no-one wants to hire you because you have no experience yet. Well, if someone among them doesn’t take the leap of faith to employ you, you will never gain some, will you? I know, it can be tricky! Of course, companies are hesitating to trust someone just out of the university or from a different discipline, it is completely logical. They need high-functioning, committed workers who can prove their skills. But they also need enthusiastic employees who will go the extra mile to show what they deserve and can do. If you don’t insist and don’t try to show them how valuable you could be for their company they will never know, will they? So let’s see how you can find some experience when you have none! First of all, you might already have more experience than you think! For example, you might have done a translation for a local business, museum, even the university. This counts as experience, too! Think carefully and if you are still in university try to land assignments that are attached to the work environment and not just theoretical essays. to translate their certificate, diplomas, school essay (I’m sure you have had plenty of those requests 😛 ) This counts if it happened more than once and if you took it seriously and worked hard on it. If you have worked a part-time job during your student years, think how the skills you acquired there might prove useful: even a bar-tending job handling multicultural clients can be described as relevant in your work experience section. A job as a car-sales assistant will be valuable if you want to break into translating automotive texts. Make sure you are able to justify it if you are asked for it during an interview. Remember to make it all about the skills and particular knowledge that you gained during your work there. Even if you didn’t work or had any experience whatsoever during your studies, there are still ways to gain experience at the beginning of your career. You can volunteer for a non-profit organisation, like Translators Without Borders, where you will gain experience and you will be giving back to the community, too. Make sure you research the organisation you choose and don’t forget to allocate some time for actively looking for employment. Reach out to a company/client you would like to work with and offer them a translation you think they need for a competitive price – for example, if you notice that your favorite local cafe has international clients but doesn’t have a menu in different languages offer to translate it for them in a low (but still market respecting) price. Or for free coffee for a month (depending on the work needed, of course). Now, I’m in no case an advocate for working for free so please make sure you get at least some compensation for your time. It is a way to show yourself and others that you take your job seriously and its not just a hobby for you. Otherwise, people will treat you like a hobbyist and we definitely don’t want that! If you don’t value your skills high enough, your clients won’t either. People want to pay less , that’s for sure but don’t accept rates too low as you wouldn’t accept low services from anyone. A successful career is built slowly but steadily and taking the worst paying jobs a) will not help you pay your rent b) makes you look cheap and c) wastes your time from looking for actually rewarding employment opportunities. So don’t be afraid to ask, aim high and look out for opportunities. We all started somewhere and it takes hard work to go anywhere. Be passionate about what you do and you will never have anything to worry about! What I learnt at my first job! At my first job, after my postgraduate studies, I had a colleague called Olga. Her surname, age etc. are not significant here but she was one of the kindest people I have ever met and thinking of her I would like to talk about the kindness of people who have nothing to gain from helping you. Inspired by my talk with Nadia, over at @greenrootskitchen, a personal chef and vegan enthusiast.